A utility-scale conventional wind plant generally requires about 60 acres per megawatt of installed capacity. Granted, only about 5% of this is actually taken up by the turbines themselves. 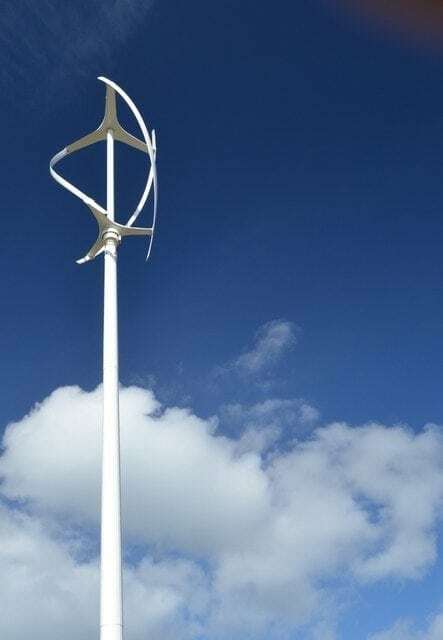 With Wind Harvest’s turbines requiring less space between installations, the environmental impact would be considerably less; not to mention the visual improvements of verticals only reaching 50ft tall. Nice. For more info, jump over the Wind Harvest’s site.